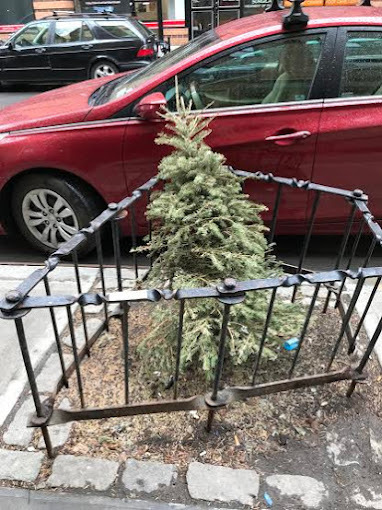 Is this a pitiful continuation/extension of the city's million trees program? At least this was tasteful placement instead of leaning on a citylink tower. Happy Easter and passover. And remember... keep smiling! Somehow, the Christmas miracle tree and whackadoo fence make sense.